The driving school is about life; it is about making the most of the lives of others. 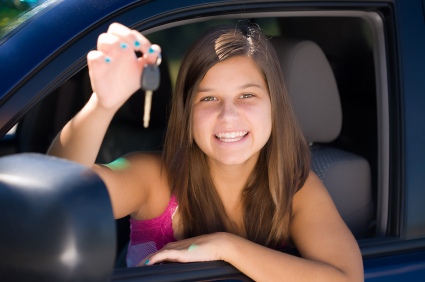 The main reason why one enters a driving education program is to get the driver’s license. It is the motive of most parents why they send their kids to a school; however, there are unnoticed factors and things that are not seen by parents. These factors of getting a person safe are the real deals of why one should enter the driving school. It is not just an advocacy of the government or the state. Every driving school aims to put this sense in the mind of the driver. The impact of the driving education cannot be made without getting to the core of the problem of accidents. The real problem lies on the discipline of the person; drinking and driving combination has been a common situation that must be addressed with care. Drinking under the influence is a successful lesson that is aimed by any school. Being the reason of most accidents, safety driving will only be true if the person will adhere to the reality of not drinking under the power of alcohol or any other intoxicating materials or chemicals. Otherwise, if the person who attended the driving education program will still drive while drunk, the effort of the school is not given higher regard. Driving in the middle of the night is a big challenge. If you are traveling interstate, it is necessary to rest or take a good sleep in any hotel or inn in the byways or highways. You need to understand the limit of your body. When your body fails, you will surely fail in applying the driving education that you have learned from the driving school. Being safe is understanding the value of your life. If you value your life and lives of the people in your car, you need to love the time to rest. During periods of fatigue, you need to pull over and take a good hour of rest. It will not take away your schedule away; but it will help you to arrive safely without the problems and hassles of accidents. The driving school aims to bring the best of safety driving by teaching the new driver on how to integrate sensory nerves and the motor movements. What is seen by the eye must be acted by the hand and the foot. This integration must be in proper order to avoid slow reaction during accidents. There are accidents that happening from time to time; no one can get away from the reality of encountering accidents. However, one can avoid the impacts and effects of accidents by the right action. When you steer the wheel at a faster speed to avoid crash, it is because your body integrates the entire movements. These elements of being safe are very important; though often not regarded by most drivers. Americans know how to drive at a very young age, but only a few knows how to drive with the application of the elements mentioned until one gets into a driving education program of the driving school. This entry was posted in Driver Educations Programs, Driving Lessons, Driving Schools and tagged driving course, Driving school lessons, learning how to drive. Bookmark the permalink.